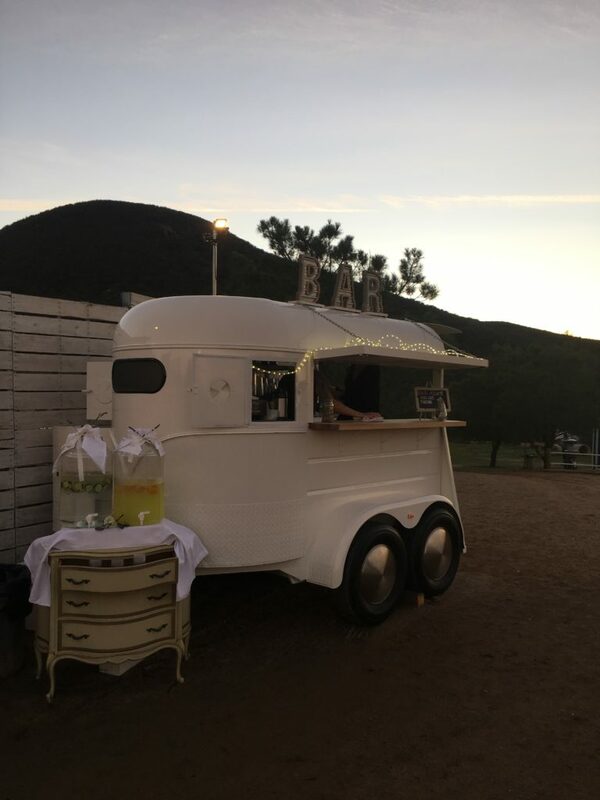 We were so excited to take the Typsy Gypsy to the Blue Barn Lavender Farm in Hemet California for our first January event! This venue is absolutely gorgeous! As you pull up the dirt driveway you will immediately spot the Lavender field growing away, I hope we can come back when it is in full bloom! 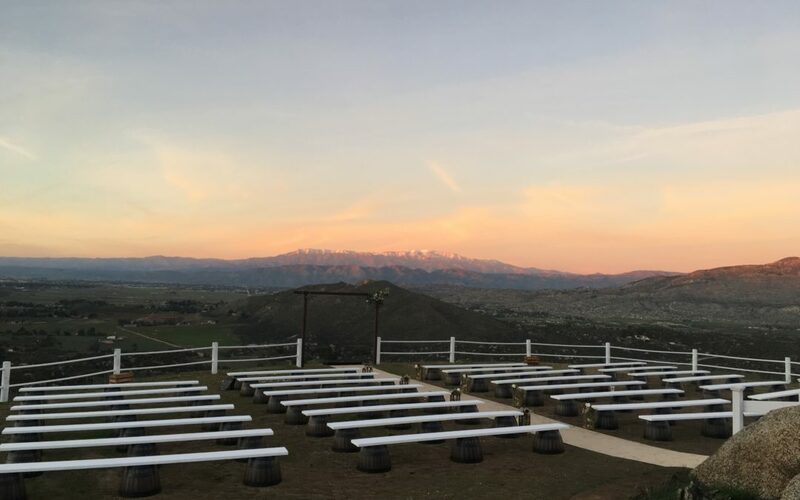 Overlooking the Temecula valley,this little lavender farm features the most jaw dropping alter and ceremony location, with amazing snow capped mountains in the background. 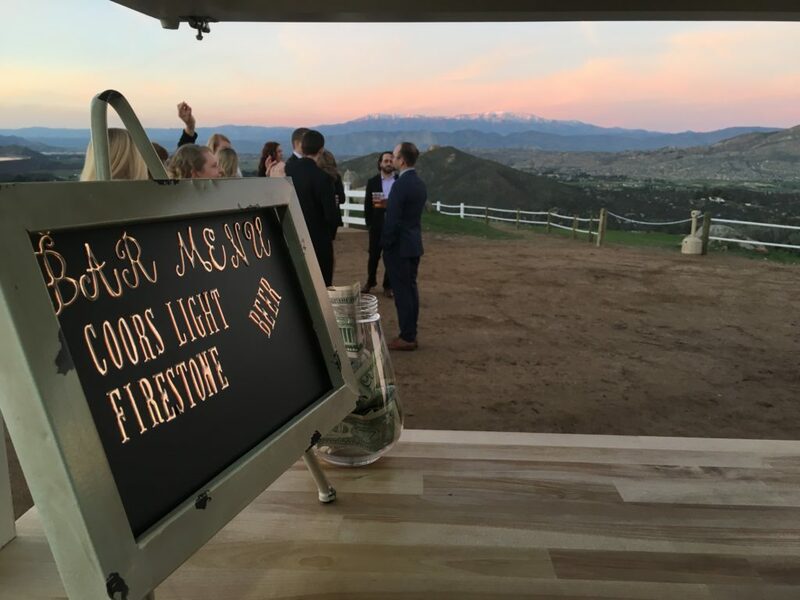 The Typsy Gypsy was able to not only set up and serve delicious beer on tap, wine, and some whiskey to all the amazing wedding guests, but we had the most gorgeous view all night! We had so much fun working with the Blue Barn Lavender Farm team and felt honored to be a part of Katheryn and Justin’s big day! The Typsy Gypsy hopes to be back to this gorgeous wedding venue real soon!!! Are you planning a upcoming wedding and need professional bartenders with a unique bar setup? Please contact us! 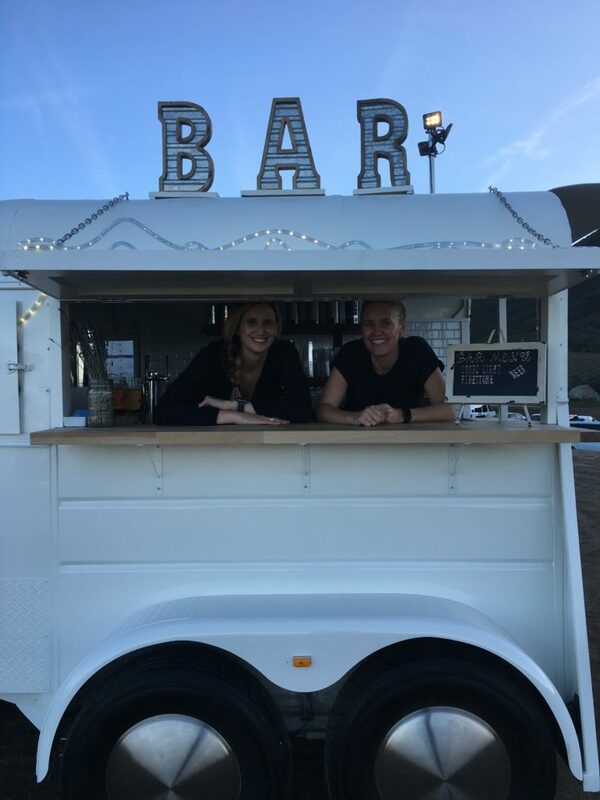 We specialize in creating custom signature cocktails in our unique mobile bar, perfect for weddings, rehearsal dinners and more! Visit our main website page by clicking the logo below!